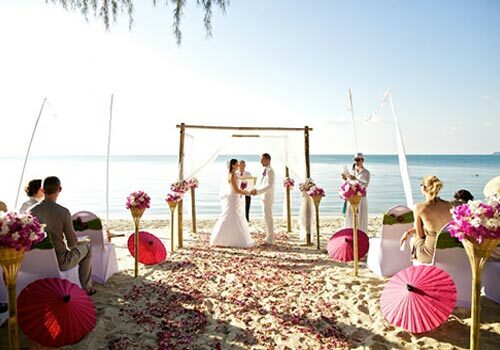 Professional Wedding Planner on Samui | The Signature Weddings can help you arrange everything. Koh Samui is quickly becoming one of the most sought after destinations for weddings, as it offers such a variety of ceremonies and types of celebrations, all in a stunning tropical setting. Professional and experienced wedding planning agencies like The Signature Weddings can help organise your wedding by offering the services of a premier wedding planner on Samui, which takes all of the stress and anxiety out of planning your big day. Whether you would like to be married on the beach, in a garden setting or on top of a mountain, wedding planners at agencies like The Signature Weddings can help you arrange everything — from flowers to catering, from traditional church services to Buddhist ceremonies. A unique experience will be provided and memories to cherish forever. Once the ceremony has been performed and the photographs taken, the wedding guests can celebrate in style according to their party preferences. 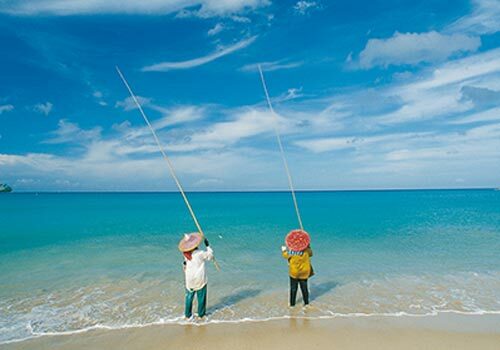 On tropical islands like Phuket and Koh Samui, luxury villas are widely available for the ultimate private celebration. The guests can relax amid luxurious surroundings, enjoy a delicious meal prepared by the villa's private chef, then party the night away next to their own private swimming pool.